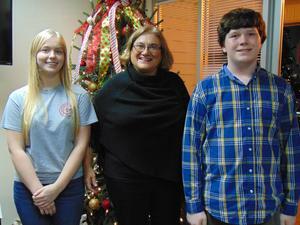 During the December meeting of the Pamlico County Board of Education, Pamlico County Middle School (PCMS) student, Gabriel Mason, and Pamlico County High School (PCHS) student, Sheridan Baker, were recognized as the Oriental Rotary Students of the Month for their school. 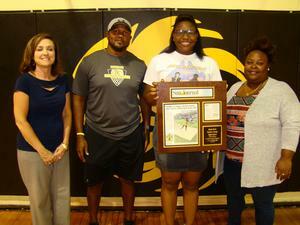 During their July meeting, the Pamlico County Board of Education recognized Hydia Davis. 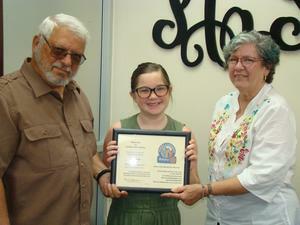 During the June meeting of the Pamlico County Board of Education, Pamlico County Middle School (PCMS) student, Brylei Simpson, and Pamlico County High School (PCHS) student, Kamryn Hough, were recognized as the Oriental Rotary Students of the Month for their school. During the June meeting of the Pamlico County Board of Education, Andrew Baker, Kayley Ireland, and Phillip Prescott were recognized for their performance during the SkillsUSA Regional Rally in March at Lenoir Community College. Congratulations to Cheyenne Lupton and Hunter Potter for being chosen to represent Pamlico County High School during the 2018 session of the Governor’s School of North Carolina. These two students were recognized by the Pamlico County Board of Education during the May 7th regular meeting. 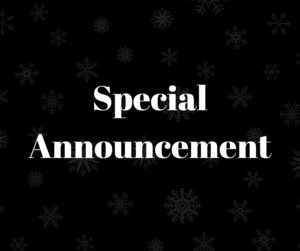 Due to potentially dangerous driving conditions, Pamlico County Schools will operate on a Two-Hour Delay Schedule on Tuesday December 11. Due to high water on several roads in the county, Pamlico County Schools will operate on a Two Hour Delay Schedule on Monday December 10. 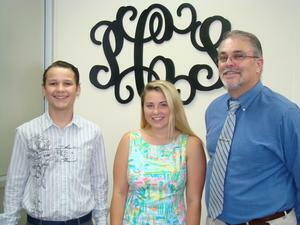 During the May meeting of the Pamlico County Board of Education, four students were recognized for having attended the Rotary Youth Leadership Award (RYLA) Conference in Columbia, North Carolina. During the May meeting of the Pamlico County Board of Education, the 2018 Heavyweight State Champion, Javon Armstrong, was recognized. During the May meeting of the Pamlico County Board of Education, the Board recognized two Pamlico County High School student-athletes who were selected for the 2017-2018 Sun Journal All-Area Girls’ Basketball Team. The Board also recognized Coach April Rose as the 2018 Sun Journal Girl's Basketball Coach of the Year.